Focused on drawing supporters in through relevant content and useful interactions, inbound marketing allows potential donors to find your organization through blogs, social media and search engines. Rather than fighting for their attention, your organization offers informational content that helps to solve their problems and build trust with your organization. Our custom integration between HubSpot and Classy provides the combination of an industry-leading marketing automation platform with the very best data source for online fundraising. This cutting-edge collaboration offers a unique balance between seeking new donors for your nonprofit while increasing donations from those who have previously donated. From a technical side, the sync between Classy and HubSpot is bi-directional, so that data changed in HubSpot is synced back to Classy and vice-versa. Custom synced fields can help to build email campaigns and other inbound marketing efforts for your organization. We’ll spend time learning about your organization, your donors, and the best way target them. We’ll begin developing wireframes and sitemaps to make the greatest impact for your non-profit organization. Rather than simply a cookie cutter design, our team provides a unique, custom-built website that distinguishes your organization and your brand from all the rest. At this point we’ll begin development of your website. We’ll pay specific attention to the details of your project, walking you through every step of a seamless launch to take your site live. The launch of your website does not end our relationship. 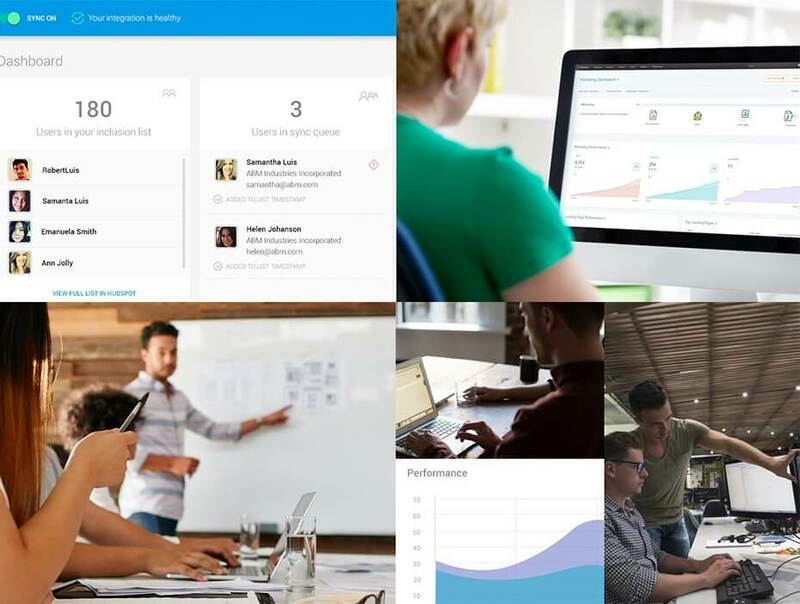 In fact, this is just beginning as we monitor the functionality and usage of your site, staying on top of trends, and providing ongoing guidance. 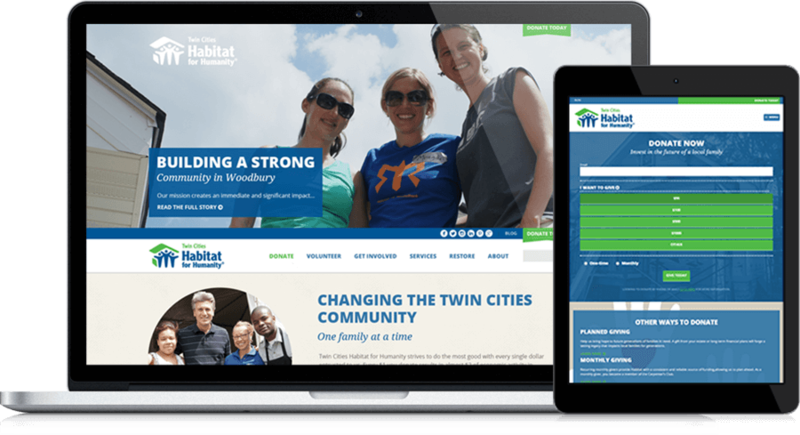 As the Twin Cities’ Habitat for Humanity considered a redesign for their website, they knew that they wanted to offer their visitors a custom website design with interactive elements that would be easy to use. They wanted to highlight stories of those families benefitting from involvement and donation, and they hoped to feature the variety of programs that they offer. Results of the new website for Twin Cities’ Habitat for Humanity include an improved overall conversion rate for visitors, as well as the beginnings of an increase in organic traffic resulting from the SEO overhaul that was included with the redesign. Talk with our marketing managers about your marketing challenges and goals.